Looks like Syfy can't get enough of the unexplained this summer. 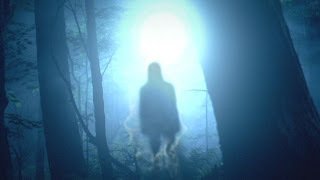 According to a new press release, the network is rolling out a slew of paranormal-themed movies and shows - including two new ones - to give you chills during the warmer months. Let's dive in and see what they are so you can mark your calendars and set your DVRs now. 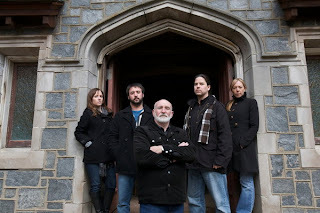 Haunted Collector features eminent paranormal collector John Zaffis, who searches for objects that have become home to paranormal spirits and/or energy. Each week Zaffis and his family help someone who’s terrorized by something strange in their own home, using the latest technology to identify the source of the paranormal activity. On the season 2 premiere of Haunted Collector, the team heads to Warsaw, Kentucky, where a woman’s home is suffering hauntings, possibly from two steamboats which crashed in a fiery collision, killing more than 60 people in 1868. Next, they travel to Huron, Ohio, in a race against the clock to remove the dangerous energy from an abandoned silo, scheduled to be destroyed in 48 hours. Wednesday, June 20 at 10 p.m.
Saturday, June 9 at 9 p.m.
Saturday, June 16 at 9 p.m.
Part fish! Part snake! All killer! In B-movie icon Roger Corman’s latest, a hybrid creature – half piranha and half anaconda - attacks a movie crew on location near her nest when her egg is stolen. Now they must outrun and kill the deadly piranhaconda as well as stop the mad scientist who stole the egg - before they all become dinner. Stars Michael Madsen (Reservoir Dogs, Kill Bill: I & II) and Rachel Hunter (The Benchwarmers). Saturday, June 23 at 9 p.m.
Saturday, June 30 at 9 p.m.
Television legends Danny Bonaduce (The Partridge Family) and Barry Williams (The Brady Bunch) star as life-long rivals battling over Bigfoot. Howard Hesseman (Head of the Class), Sherilyn Fenn (Twin Peaks), Andre Royo (The Wire) and Rock and Roll Hall of Famer Alice Cooper (School’s Out) co-star in the movie, which is directed by Oscar and Emmy nominee Bruce Davison (X-Men). Season 5 opens with two special back-to-back episodes, as Josh Gates and his team lead viewers on a chase into one of the world’s biggest caves in the jungles of Vietnam to search for Bigfoot. Then, at the overwhelming request of fans, they’ll travel to Romania for a return visit to the haunted Hoia Bachu Forest, the site of their most terrifying investigation to date, and then explore the reportedly haunted Mayan ruins of Tikal in pursuit of a monster known as the Belize Goblin. They'll also lead viewers into a remote Transylvanian village on a hunt for vampires and journey to Kazakhstan (a Destination Truth first) to search for the legendary Kazakh monster. 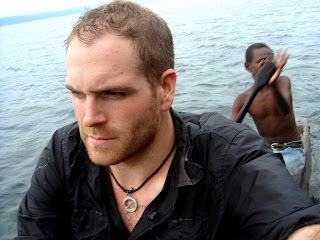 Josh Gates and Erin Ryder serve as co-executive producers. Premieres Tuesday, July 10 at 10 p.m.
Paranormal Highway puts the pedal to the metal as Jack Osbourne and his friend Dana Workman do their own first-person investigations of the most frightening claims of paranormal activity along America’s remote back roads. Fueled by eyewitness interviews and evidence collected by Jack’s state-of-the-art equipment, he and Dana will travel alone, self-documenting their harrowing face-to-face encounters with the paranormal. Premieres Wednesday, Aug. 8 at 10 p.m. Using a mixture of intimate first-hand testimony, actual home video and gritty realistic drama, the hit series Paranormal Witness returns to transport viewers into a world turned upside-down by extraordinary, terrifying and sometimes life-threatening paranormal events.